Hurricane Matthew's close approach to us was certainly a reminder of Mother Nature's forces. All of us in Palm Beach County dodged the proverbial 'bullet' and we all have added the term 'wobble' to our vocabulary. That slight wobble over the Bahamas turned Matthew just enough to keep the strongest bands of the eye-wall to our east. At SmartyPlants we spent two days preparing for the storm, then two days restoring after, we rescheduled plant deliveries and customer installs, but we are finally back on track. We hope you too are back on track, and we appreciate all of our customers who stopped by to see how we managed. With cooler temperatures now, after the hottest summer globally recorded and the anxiety caused by Matthew, we can be grateful to find ourselves on the other side of summer and of hurricane season practically unscathed. Our fall garden chores can now resume. It is fertilizer time once again. Palms, trees, and shrubs need their food to help fortify them for the cooler and dryer season. Remember that trees and palms need one pound of slow-release fertilizer for every 3' of height. Woody shrubs require half that amount. We are well stocked with our Dr. Earth organic feeds as well as our Nurserymen's Sure-Gro synthetic line. Other useful additives include worm castings, fish emulsion, composted hen and cow manures, and seaweed concentrate. For the herb and vegetable growers, adding a fresh two-inch layer of Organic Mechanics Soil or mushroom compost is an easy way to prep your beds to get young plants straight into the garden bed. This gives them a good start with a non-burning fertilizer around their roots. Otherwise, add a mild fertilizer to each plant as you dig the hole. Our organic seeds for herbs and vegetables have arrived just in time to start your edible gardens. Wildflower seeds for attracting bees and butterflies have also arrived. Many customers requested Lemongrass, and Lemongrass plants are here. Our start herb and vegetable plants have begun to find their way to SmartyPlants, but we will not be fully stocked for 3-4 more weeks. It was such a hot summer that many growers are releasing their crops later. Currently, we already have about 5 varieties of tomatoes in one-gallon containers plus a few herbs in 4.5-inch pots. Prepare for your tomatoes and taller plants like peppers and eggplants with growing cages, wire supports, stakes, and other tying options. Many of you have asked about winter annuals - Begonias, Geraniums, Alyssum, Pansies, and other cool-weather flowering plants. 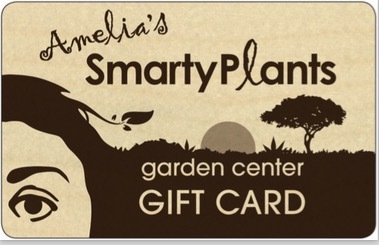 They too will find their way to SmartyPlants in 2-4 weeks. A new trend in hedging is happening using native material. These plants bring a less formal look than Ficus, Podocarpus, or Eugenias. A mix of natives can provide the same privacy but requires less pruning than a single-plant hedge row. Layered hedges are also becoming the norm as they provide depth to the landscape. 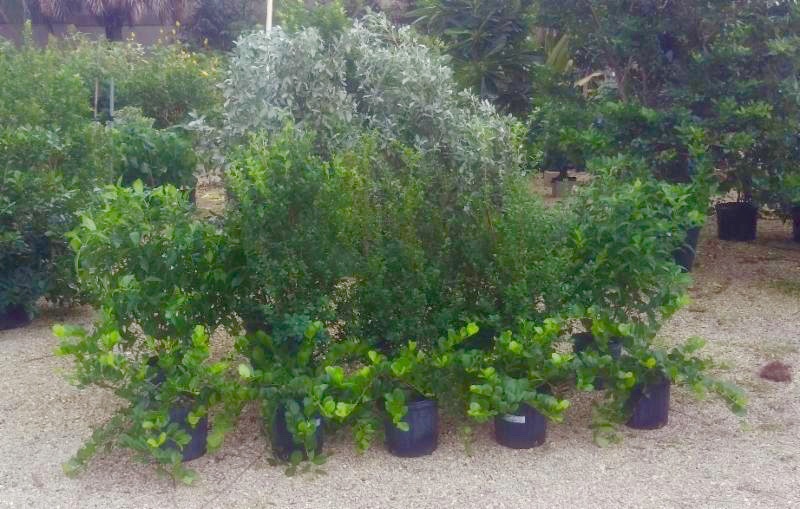 Choices for the tallest layer include Seagrape, Buttonwood, Firebush, Cocoplum, and Spanish or Simpson Stopper. Mid-height plants include Maidenbush, Wild or Bahamian Coffee, and consider Pineland Croton or Horizontal Cocoplum for lower-height plants. These natives also provide a habitat and food for wildlife, especially migratory birds. The contrast in leaf size, shape, color, and texture creates a natural 'woodland' feel yet provides screening and privacy. Is it a good time to plant a new hedge? The answer is "yes". We are still enjoying free water from the sky, and extreme temperatures have subsided at last, minimizing heat stress on new plantings. 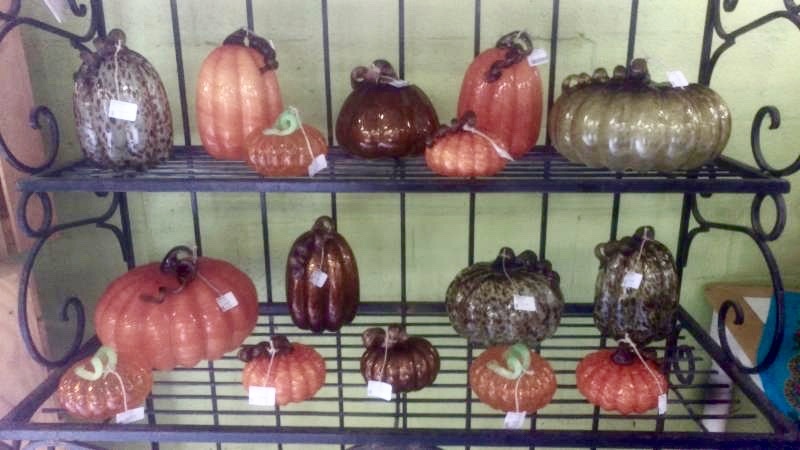 To help your seasonal decorating, we have beautiful glass pumpkins and gourds in various sizes and colors. These are not Jack-O-Lanterns but exquisitely hand-crafted reminders of fall. They are appropriate for Halloween and Thanksgiving as well, and they are priced to go home with you.